Marketo. Eloqua. HubSpot. Pardot. Act-On. With so many marketing automation platforms and services available today, how can you determine which products best fit your needs? It all starts with research, of course, such as checking out reviews and product comparisons on G2 Crowd, TrustRadius, Capterra or Software Insider. Next up, talk to marketing colleagues about the platforms they use. It's also a great idea to create lists of goals needs, and necessary tools. Most of all, you need to ask marketing automation software providers lots of questions, and then ask those same questions of each individual vendor, so it's easy to make "apples-to-apples" comparisons. These 12 questions, contributed by marketing professionals and other experts, can help you prepare the proper queries beforehand and form frameworks for evaluating marketing technology providers. 1. What about CRM integration? Does the information flow both ways? Ideally, marketing automation platforms will integrate with Salesforce or another CRM platform, according to Adam Bockler, communications manager at Float. Ask about the specific CRM features available in the platform itself to determine if they're suitable. "Not everyone needs Salesforce, especially if you're a smaller company that needs to be focused more on selling the work and tracking deals than on creating incredibly detailed reports," Bockler says. "A seamless integration between the CRM platform that the sales team is using and the marketing automation solution is essential and becomes increasingly important as the teams grow, and communication becomes more challenging," says Billy Cripe, CMO of Field Nation. In addition to CRM, ask about the other tools and services that integrate with marketing automation platforms, and know which services are necessities. For example, HubSpot integrates with GoToWebinar, SurveyMonkey, Shopify, WordPress, Zapier and many others. "Have a list of your must-have tools ready to go when talking integrations with providers, and check off each one they have," Bockler suggests. "If they don't have it, ask them if it's on their roadmap." 3. 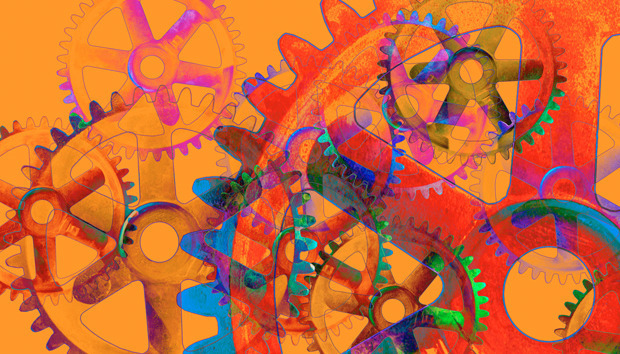 How does data flow in and out of the marketing automation system? You will likely need to combine data that resides in the marketing automation platform with data from other systems, such as those dedicated to CRM, SEO, content management systems (CMS) and ERP. The goal is to form "a holistic picture and drive decision-making," according to Tom Berger, vice president of digital marketing at Progress. "The data should be easily accessible via application program interfaces (APIs) or scheduled exports in common formats." 4. How flexible is the reporting module? Can you export custom reports? Weak reporting is still the Achilles heel of many otherwise great platforms, according to Micky Long, vice president and practice director of lead nurturing at Arketi Group, so it's important for organizations to drill down into tools' reporting features. 5. How does the platform measure success? "Tracking, reporting, ROI — these are terms that weren't significant to marketers for a long time," says Lauren Littlefield, president of Field Public Relations. "It was easy to run radio and billboard ads, then hope for the best when the end-of-year revenue numbers became final. Now, through marketing technology, marketers and company leadership alike can analyze where their marketing is effective and where it isn't." Littlefield says quality marketing automation platforms have flexible, customizable dashboards and reports that help to measure campaign success at a variety of different, granular levels. Organizations should ask marketing automation providers about success metrics and make sure they support the metrics that are most important. 6. What about migrating from the old system to the new one? If you plan to migrate from a rival marketing automation platform, it's importance to ask about the migration plan, according to David Chao, vice president of marketing and product strategy at ReadyTalk. "Listen for references that a migration from your current platform has been done before," he says. "The right provider will want to dig into your specific setup to assure a successful migration." It's important to get a solid understanding of the resources required to migrate or update your system, says Gwen Knudsen, director of demand generation at LiveHive. "Understand whether you'll need to pay for additional resources or use some of your own, which may require you to pause other programs. You may also need to pull in reps from your IT department, sales operations, and marketing department. Get their input before making a decision to make sure it fits within their department goals." 7. What's the true cost of using the system? Hidden fees and costs associated with overages, training and implementation can greatly impact the overall price of a platform, according to Littlefield. "Be sure to understand every potential cost for your organization and how these possibilities affect the competitive aspect of pricing as you're vetting multiple vendors." 8. What about marketing automation support? As with any service, a personal touch from a marketing automation software provider is important— but unfortunately isn't always available. "It's been typical for different managers to take over my account," says Float's Bockler. For example, his contact at a marketing automation software provider left the company, and then Bockler received a "generic email address" to use if he had questions or issues. Ask specifically about telephone support — when is it available and how much does it cost? It's wise to pick a platform that offers solid, easily accessible phone support. "You will need it," according to Long. What are the top three strengths of the platform versus competitors in the market? What are the top three features existing customers ask for but aren't on the roadmap? And why aren't they? What does the platform not do well? How flexible are the platform's email and landing-page builders? Is HTML coding required? What are the platform's limits on database size, email sent, forms and rules? How much does it cost to upgrade? Is a contract required? If so, is the contract month-to-month or annual? How secure is the system? How does the provider protect customer data? 9. Is it easy to add new users? Ideally, you want the capability to freely add or remove users in your marketing automation systems as needed, says Bockler. Some systems have restrictions that let you only remove users when their contracts are up for renewal. 10. How long does it take to implement the new system? Depending on the size of the organization and the condition of the data, implementation should take two to four weeks, according to Littlefield. Anything more or less should raise red flags. Variables that influence implementation time include the number of data sources and silos, team engagement, and the sophistication of systems and workflows. 11. Can the system manage full customer lifecycles, or only leads and prospects? Marketing professionals must increasingly manage and determine entire customer lifecycles, or journeys, from unknown prospects to brand-loyal customers, Littlefield says. As such, it's important to ensure that marketing automation tools fit your specific needs. "Several marketing automation platforms focus solely on leads or prospects. 12. Does the platform support your mobile needs? Mobile technology has never been more important to modern marketers, and it's crucial that you pick automation tools that meet your mobile requirements. "With more than 50 percent of responses coming from mobile, it's critical that email templates, landing pages and forms are supported," says Knudsen. "Ideally, getting a mobile responsive template shouldn't require additional resources."